In our opinion, your cultured city had registered tremendous achievements in developing tourism infrastructure and facilities and in placing in the limelight, in a sustainable and environmentally friendly manner, the cultural, historical and tourism patrimony of PHNOM PENH. 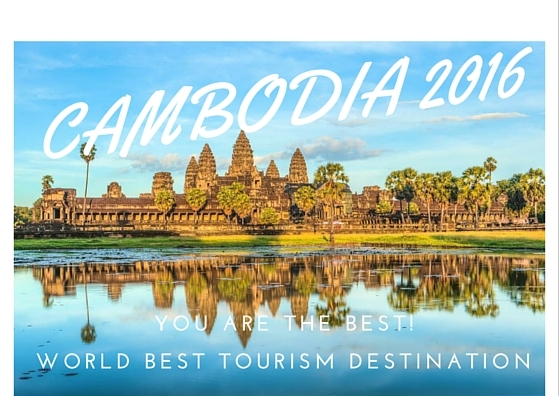 Your capital-city legacy and tourism potential must be recognized and used in fruition of Kingdom of Cambodia `s international prestige and economic development. These are the words penned by H.E. 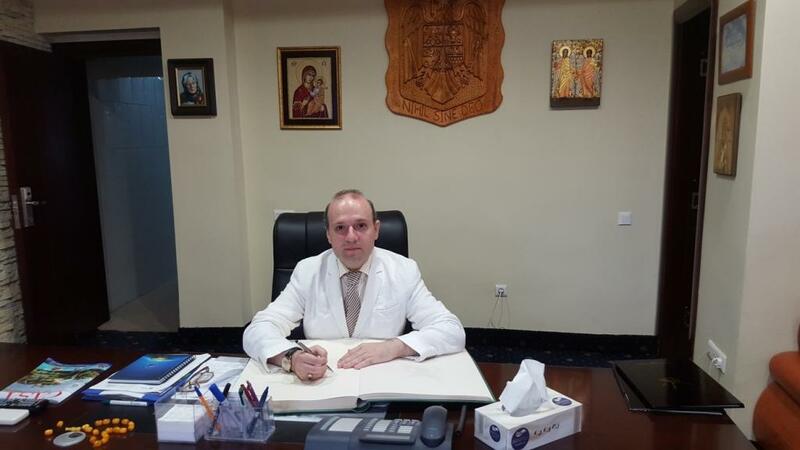 President of The European Council on Tourism and Trade Professor Dr. Anton Caragea to H.E. 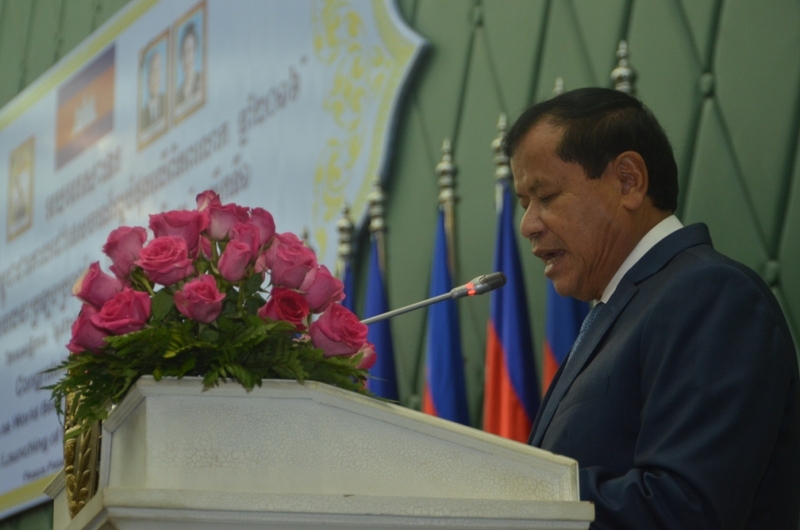 Academician Prime Minister of Cambodia H.E. 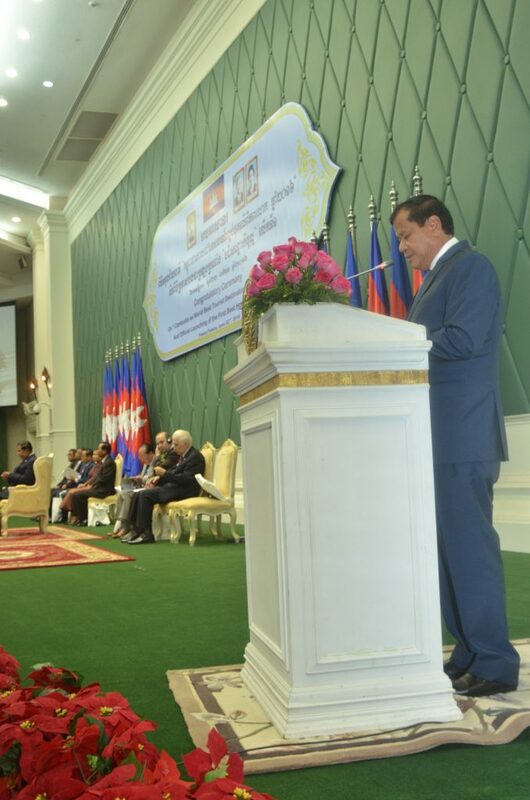 HUN SEN in the letter announcing PHNOM PENH as the WORLD CAPITAL OF CULTURE AND TOURISM on a public ceremony on November 27, 2017 in the presence of over 1.000 guests and diplomatic corps. 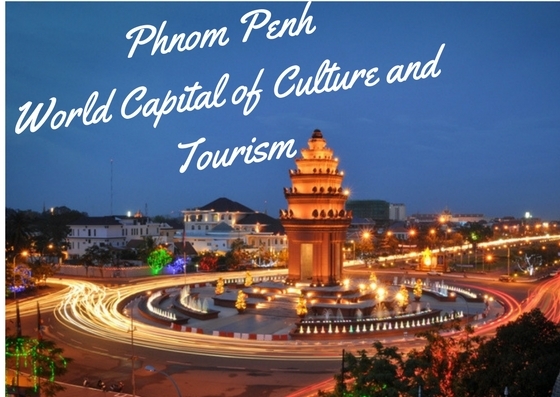 PHNOM PENH receives the official registration documents as a WORLD CAPITAL OF CULTURE AND TOURISM. 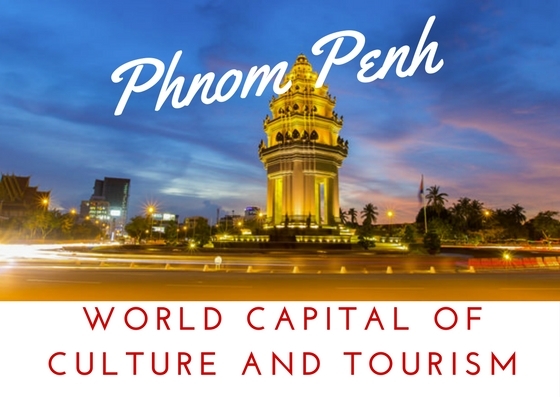 On December 9, 2017 the official handover ceremony of the title of WORLD CAPITAL OF CULTURE AND TOURISM for PHNOM PENH will take place and the humanity legacy will be richer with another stellar name: Phnom Penh . 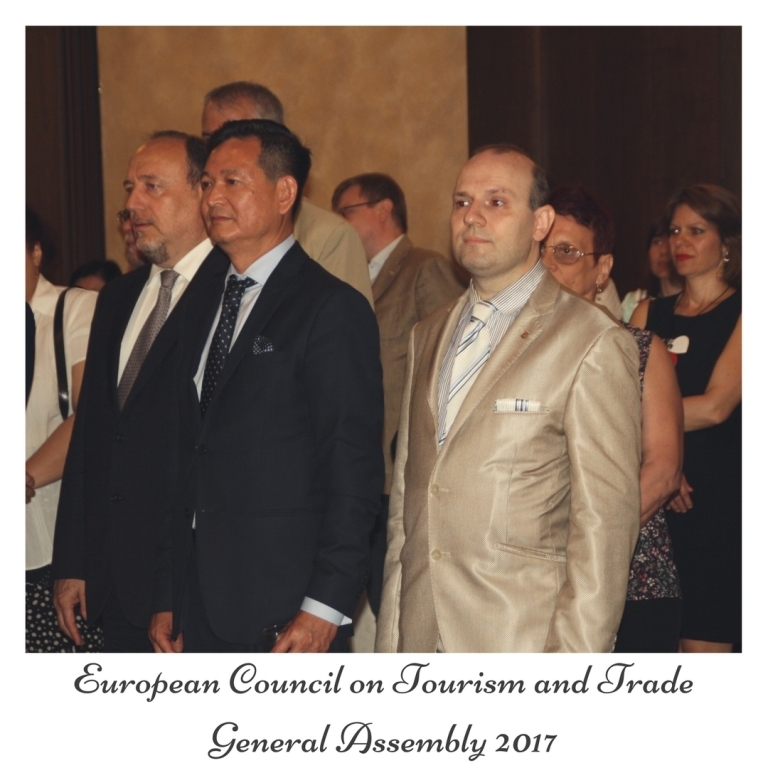 The 2017 General Assembly of European Council on Tourism and Trade -ECTT has gathered in an all-encompassing manifestation the leaders of world tourism, parliamentarians members of Parliamentary Assembly for Sustainable Development Goals, representatives of OSCE Bucharest Conference, Eurasia Conference and diplomatic corps accredited to European Council on Tourism and Trade. 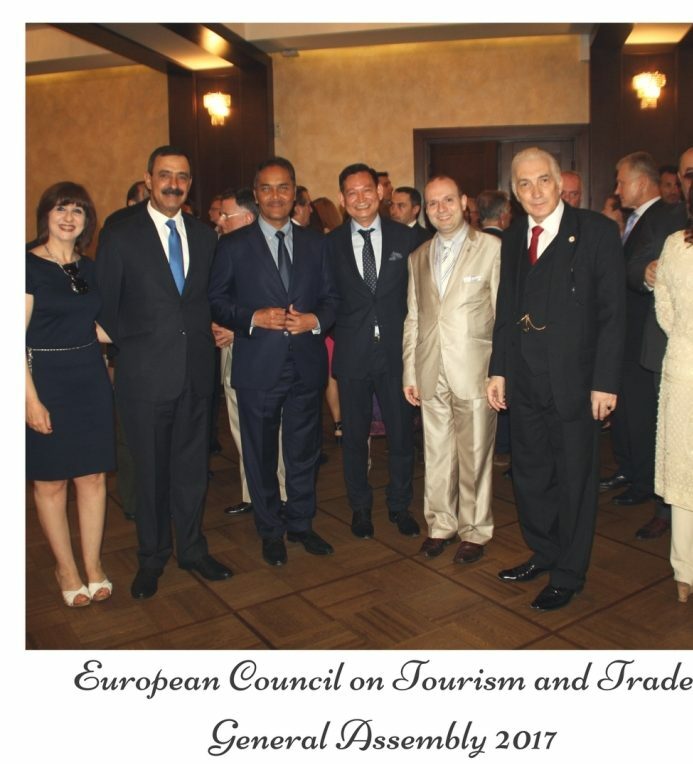 President of world institution European Council on Tourism and Trade, Professor Dr. Anton Caragea (in the center) with Academician Mircea Constantinescu-European Tourism Academy (right) and Ambassadors from China PR, Philippines, Jordan, Turkey (left). President of world institution of European Council on Tourism and Trade, Professor Dr. Anton Caragea presented to his guests the achievements of ECTT at the helm of global tourism: creating and launching the tourism and sustainable development goals program, starting the global recognition program for GLOBAL AMBASSADORS FOR TOURISM AND SUSTAINABLE DEVELOPMENT GOALS, supporting growth and employment across the world with more than 100.000 jobs created by ECTT exertions and supporting humanitarian activity and investments in vulnerable corners of the world by tourism related programs. ECTT has fulfilled for another year his mandate to offer KNOWLEDGE TO LEAD THE WORLD for a better future concluded President Dr. Anton Caragea in his welcoming message to the delegates. Professor Dr. Anton Caragea (in the center) surrounded by ECTT President Office team: Academician Mircea Constantinescu (left), Chairman Mihai Prundianu and rest of the team(to the right). The main items of the ECTT Agenda for 2017 where focused around boosting the regional cooperation, layout plans for visa facilitation and the better promotion of European and world tourism. 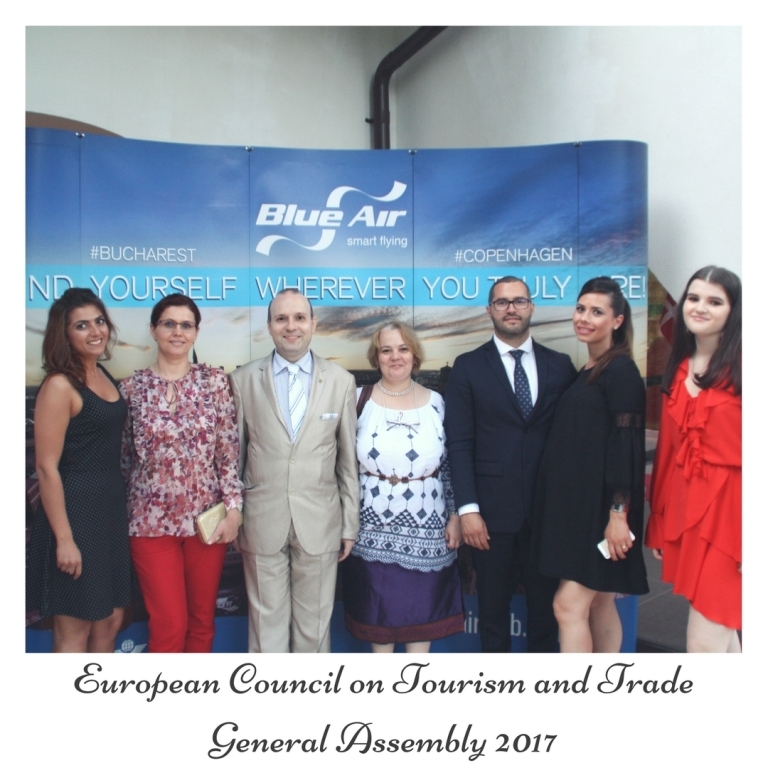 On July 28, 2017 the session was destined to plenary works and on July 29 in a relaxed atmosphere, the General Assembly of the European Council on Tourism and Trade (ECTT), has taken under consideration the list of candidates for WORLD CAPITAL OF CULTURE AND TOURISM and WORLD BEST TOURIST DESTINATION for 2017. Professor Dr. Anton Caragea and the team of ECTT President Office and Ambassadors awaiting the name of WORLD CAPITAL OF CULTURE AND TOURISM. 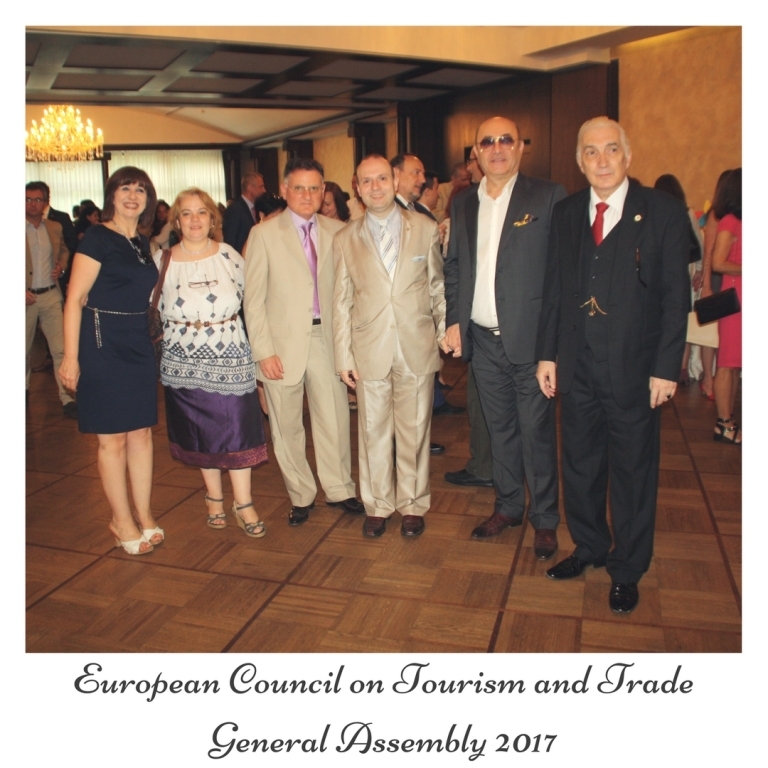 Before entering into the details the voting members decided to entrust to Professor Dr. Anton Caragea and the team of ECTT President Office the mandate to select for 2017 and 2018 the WORLD CAPITAL OF CULTURE AND TOURISM winners in accordance with the world tourism institute ECTT status and bylaws. 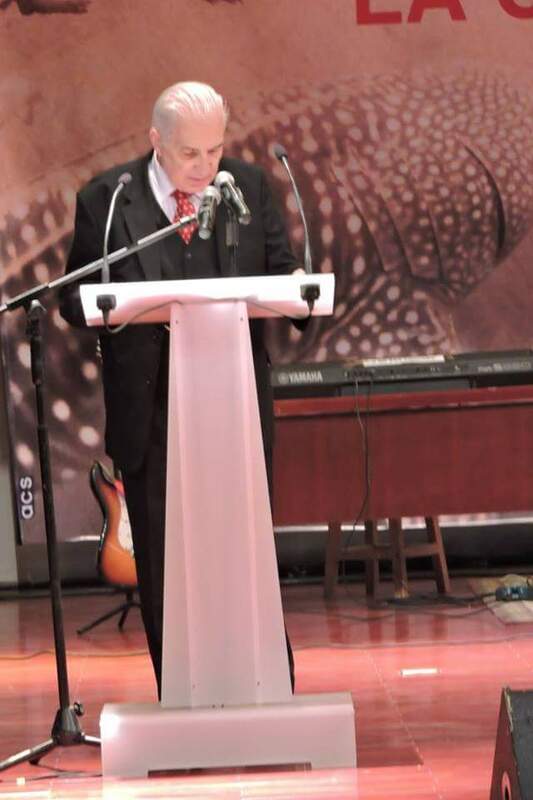 The full power in selecting the world most important cultural designation for the above mentioned period was delegated to the authority of the ECTT President Professor Dr. Anton Caragea. After receiving the results of vote from Presidential adviser Mr. Gabriel Rasvan , H.E. 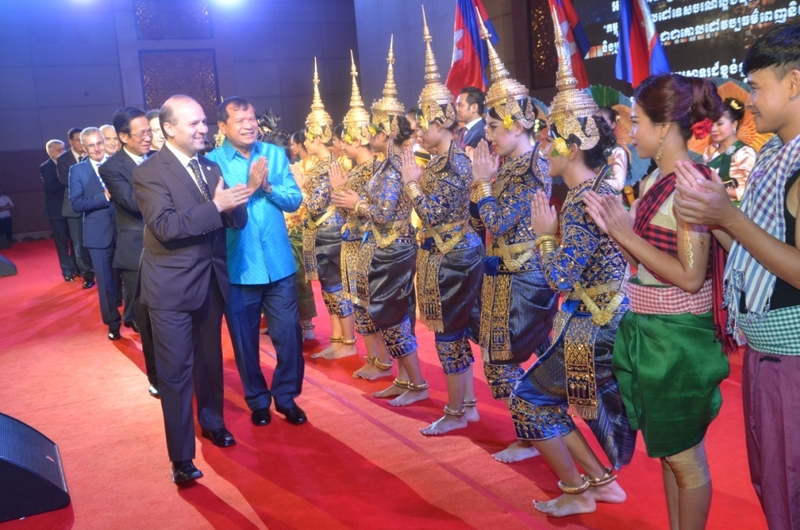 President Professor Dr. Anton Caragea announced his decision to bestow the highest cultural nomination to the city of PHNOM PENH, the capital of Kingdom of Cambodia. The proposal of ECTT leader was approved by acclamation`s by all present on the venue and the office of the President of European Council on Tourism and Trade being empowered to make the necessary actions to bring to fruition the decision to inscribe PHNOM PENH as a WORLD CAPITAL OF CULTURE AND TOURISM awardee. 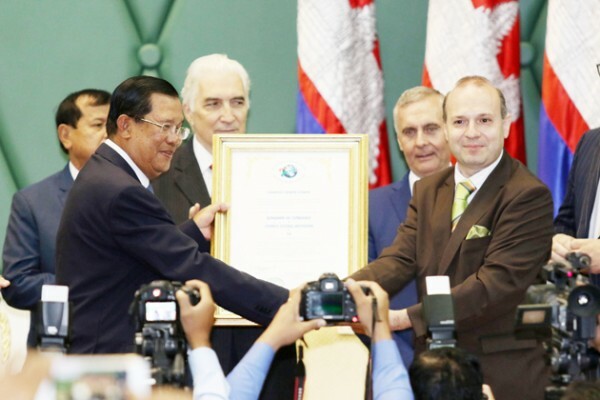 On December 9th, 2017 the Kingdom of Cambodia will officially receive the WORLD CAPITAL OF CULTURE AND TOURISM status, concluded the proceedings the President of European Council on Tourism and Trade, Professor Dr. Anton Caragea. ♦ In carving up the World Capital of Culture and Tourism Program 11 years ago, European Tourism Academy and European Council on Tourism and Trade (ECTT) set for themselves the ambitious task of establishing a world list of cities and regions that are encompassing the legacy of humanity, that are harboring traditions and costumes unique or hosting natural treasures considered to be of outstanding and universal value. 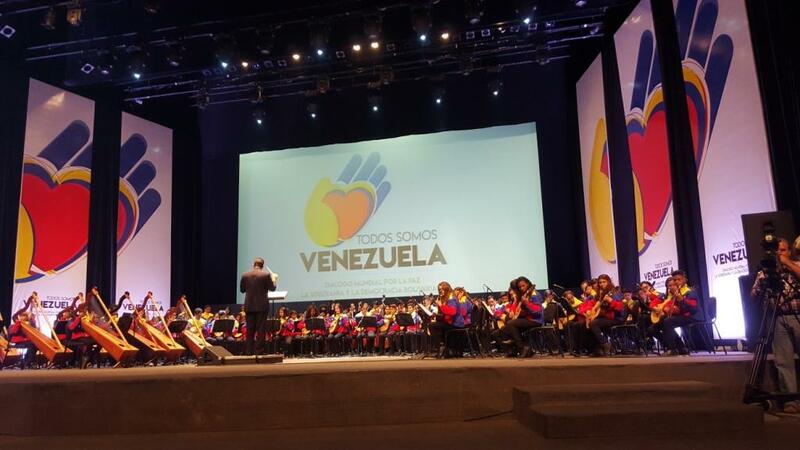 ♦ The WORLD CAPITAL OF CULTURE AND TOURISM is today a registered program for the advancement of Sustainable development Goals, is a registered program of PARLIAMENTARY ASSEMBLY FOR UN Sustainable Development Goals and is the instrument recommended for fulfilling each country commitment to the Agenda of Humanity. 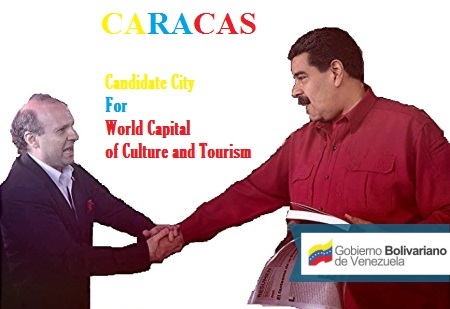 To support its activities, the Council created the award of “World Best Tourist Destination” yearly to promote the tourism sector in the countries who are qualified enough (with evaluations based on key indicators of potential natural and cultural tourism and direction as the policy of the candidate country). 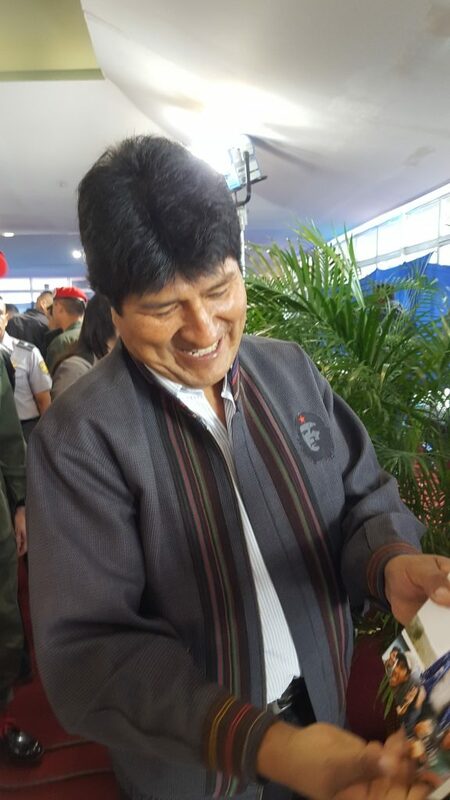 Since 2007, there were countries awarded the awards in the Africa and Asia (including the Republic of Korea, United Arab Emirate, the People’s Republic of Laos in 2013 and the Republic of Zimbabwe in 2014). 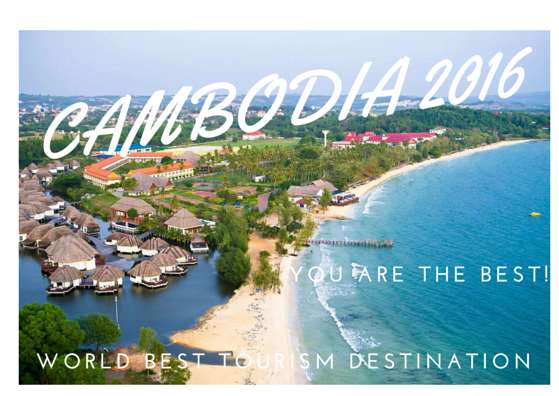 I would like to kindly inform the whole participants that in order to achieve the longterm vision and perspective for the development of Cambodian tourism, in particular as the tourist destination with sustainability, responsibility, and world-class attractiveness, the Royal Government set out the Law on Tourism. National Policy on Tourism, Tourism Development Strategic Plan 2012-2020. 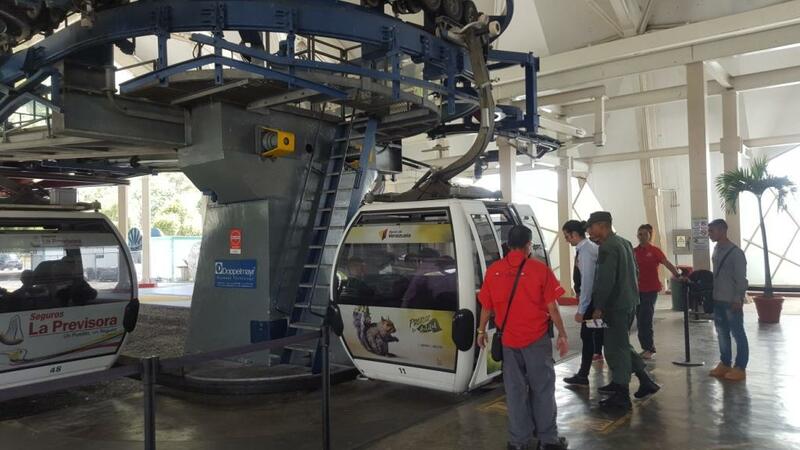 Applauses for Minister Dr. Thong Khon and President Dr. Anton Caragea on the scene of WORLD BEST TOURIST DESTINATION for 2016. 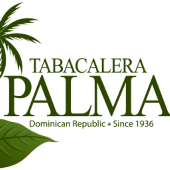 Hard work deserves recognition! Cambodia is on the wave of international recognition and Tourism Minister is faithfully serving the country and bringing to light the vision of Samdech Akka Moha Sena Padei Techo – Academician HUN SEN.
We strongly believe that in the name of an honorary member of the European Tourism Academy, Cambodian tourism will be well-developed and more European tourists will make their visits to Cambodia, benefiting the socio-economic development in a sustainable manner. 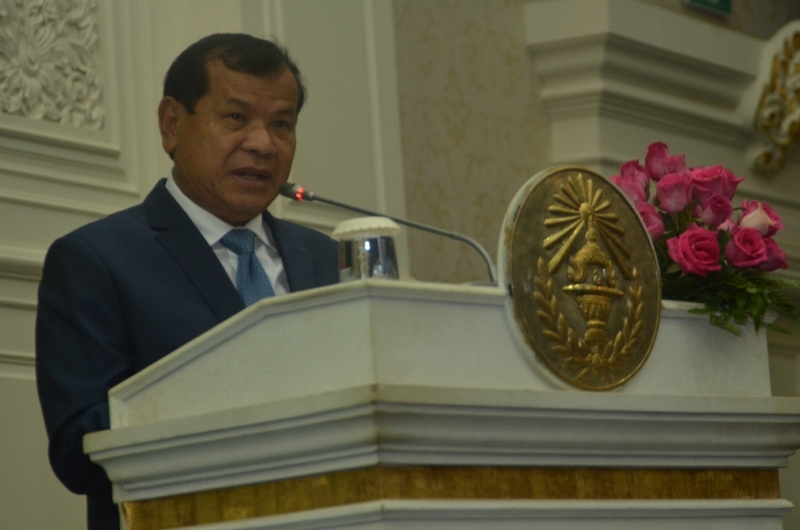 Last but not least, on behalf of the entire ceremony, and myself, I would like to respectfully wish Samdech Techo Prime Minister and Lok Chumteavs Kittipritbandit and their families healthy, wisdom, and strength in order to lead and develop Cambodia towards prosperity and happiness for the people. Finally, May I wish Samdech, Excellencies, Lok Chumteavs, Ladies and Gentlemen the four gems of Buddhist Blessings: Longevity, Nobility, Health, and Strength. The month of April 2015 was witnessing extremely important events in the Central Asia tourism dynamics. Amongst Central Asian nations Turkmenistan is making headway with Ashgabad becoming the first ever WORLD CAPITAL OF CULTURE AND TOURISM and President Gurbanguly Berdimuhamedov named as Academician of European Tourism Academy and recognized as a World Leader in Tourism (2011). 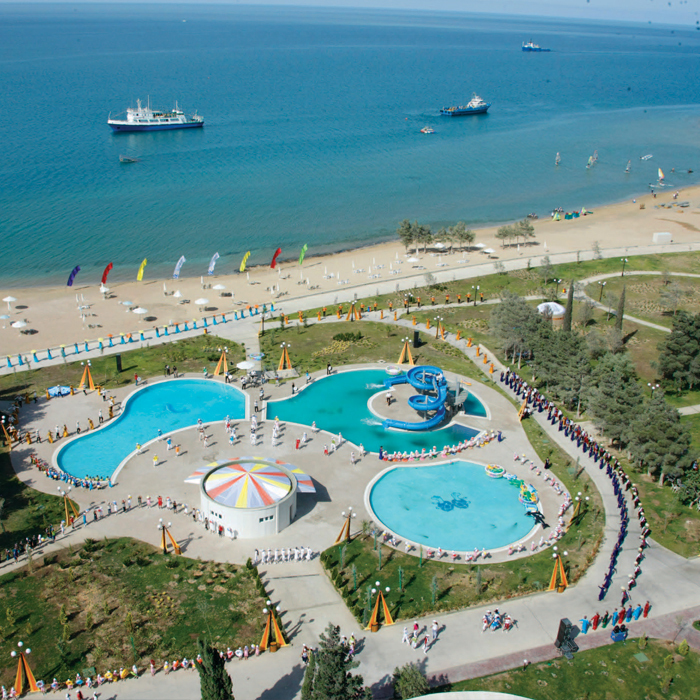 With European Council on Tourism and Trade support and promotion Turkmenistan registered more than 1 million tourist`s per year. 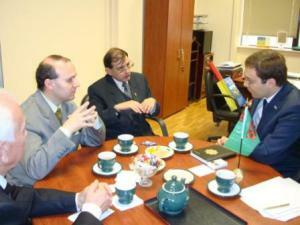 ECTT President and Minister of Economy of Turkmenistan are holding regular consultation. 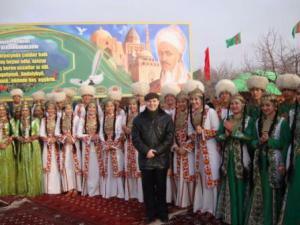 Turkmenistan is also receiving on yearly basis since 2010 an European Council on Tourism and Trade delegation for a familiarization trip. The tourism and cultural relations between Europe and Turkmenistan had entered into a new phase with the presence of the 5th European Council on Tourism and Trade (ECTT) delegation in Turkmenistan. The delegation toured Turkmenistan touristic facilities and hot spots in the framework of the annual ECTT visit during 6 to 12 April 2015. 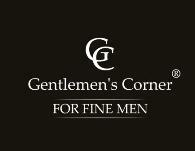 Under the leadership of H.E. Professor Dr. Anton Caragea, President of European Council on Tourism and Trade, the European tourism delegation had marked the continuous development of the tourism cooperation between Europe and Turkmenistan. During the latest five cultural delegation` s European Council on Tourism and Trade has contributed with ideas and information’s to important tourism, cultural and academic events held in Turkmenistan under the President Gurbanguly Berdimuhamedov supervision such as: Oguznama International Conference , Ethnography Congress of Turkmenistan , International Congress of the 15 Anniversary of Turkmenistan Neutrality , Turkmenistan in the Epoch of New Revival and finally the International Congress dedicated to life and work of world renamed Turkmen poet: Nurmuhammet Andalip. 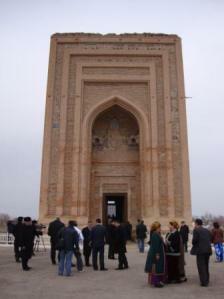 Professor Dr. Anton Caragea and European Council on Tourism and Trade delegation visited the world heritage UNESCO site of Kunya-Urgench where they participated at the festivity dedicated to the great Turkmen poet Nurmuhammet Andalip works and visited the world renowned monuments of Sultan Tekesh, Sultan Ahmad and famous Sufi philosopher Nedjmedin Kubra. The European Council on Tourism and Trade delegation was received by Turkmen Parliament Presidency and hold talks at Ministry of Foreign Affairs and Ministry of Economy of Turkmenistan. The parties had agreed on intensifying the bilateral relation, the tourism relation`s between Turkmenistan and European Council on Tourism and Trade being considered as excellent and was emphasized the need to foster economical cooperation dimension on bilateral relations. 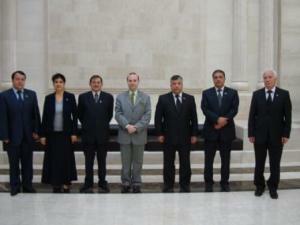 During the dialogue with Turkmen authorities H.E. 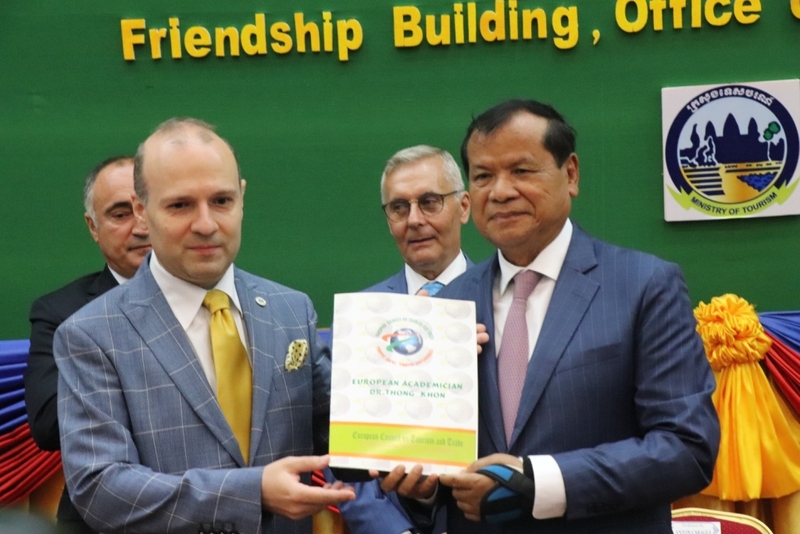 Professor Dr. Anton Caragea, President of European Council on Tourism and Trade was presented with the framework of State Committee for Tourism of Turkmenistan, who was established in 2012 and to the significance of the Committee for the Awaza National Tourist Zone. 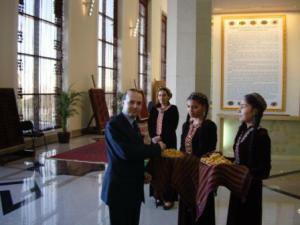 During next year (2016) visit to Turkmenistan H.E. Professor Dr. Anton Caragea, President of European Council on Tourism and Trade promised that the familiarization trip will concentrate on Awaza tourist potential and will direct an awareness campaign for this region. Turkmenistan Minister of Foreign Affairs who hosted the European Council on Tourism and Trade familiarization trip to country express his appreciation for the long term support and commitment offered by European Council on Tourism and Trade for tourism activities in Turkmenistan and for promoting the high standing of the country in the world and for promoting Turkmenistan as a safe and cultural first class destination in the world. On December 6, 2014, the presentation and official handout of the candidature file of People’s Democratic Republic of Algeria for 2015-World Best Tourist Destination Award had taken place. The President of European Council on Tourism and Trade, Prof. Dr. Anton Caragea express his sincere congratulation as People’s Democratic Republic of Algeria is registering his candidature for World Best Tourist Destination candidate status, a perfect moment in the history of the country and the region. 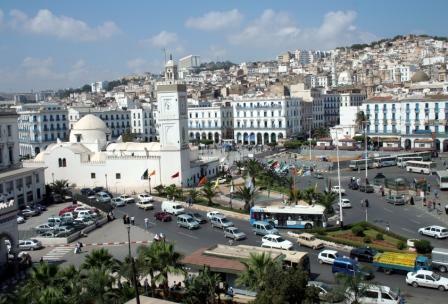 Capital city of Alger hopes to be elected as World Capital of Culture and Tourism for 2015. The candidatures of capital city of Alger and the archaeological site of Tlemcen (former Cultural Capital of the Arab World) as World Capital of Culture and Tourism for 2015 are also important moments in the perfect world branding the country. H.E. Ambassador of People’s Democratic Republic of Algeria stated that between Europe and Algeria we can observe a large area of common interests , designed to forge a good understanding between the two nations. Friendly meeting between H.E.President of European Council on Tourism and Trade and H.E. Ambassador of People’s Democratic Republic of Algeria. The European – Algerian relationship must be an example for a better relation between Europe and North African countries. If in the last period the bilateral dialogue, especially economic and tourism cooperation, with this area was faltering, now it is an auspicious moment for reconstructing and rebuilding this framework of dialogue and friendship, with the support of the most prestigious tourism organization in the world-European Council on Tourism and Trade, appreciated algerian ambassador outlining here appreciation for the encouragement`s offered by Prof.Dr.Anton Caragea and had stated that the vision of developing and fostering new economic, politic and cultural relations between Europe and People’s Democratic Republic of Algeria is a mutual and treasured vision. 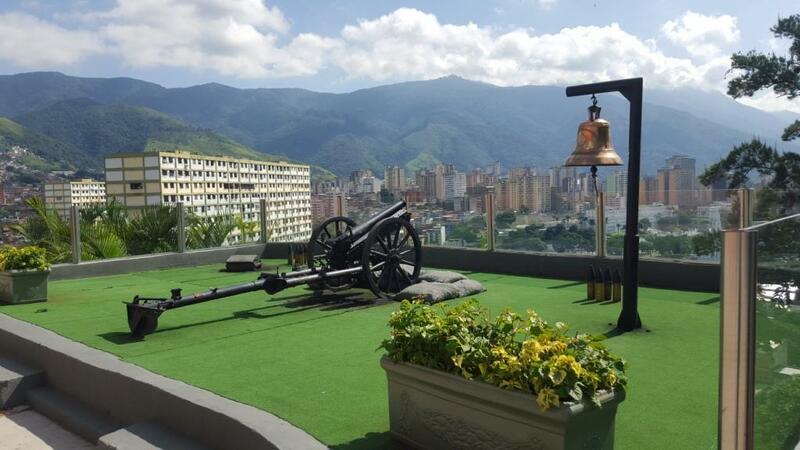 The dialogue had continued on concrete aspects and analyses of economic, political and cultural bilateral relations and on ways of fostering this dialogue on to the future after the competitions for World Best Tourist Destination Award and World Capital of Culture and Tourism. 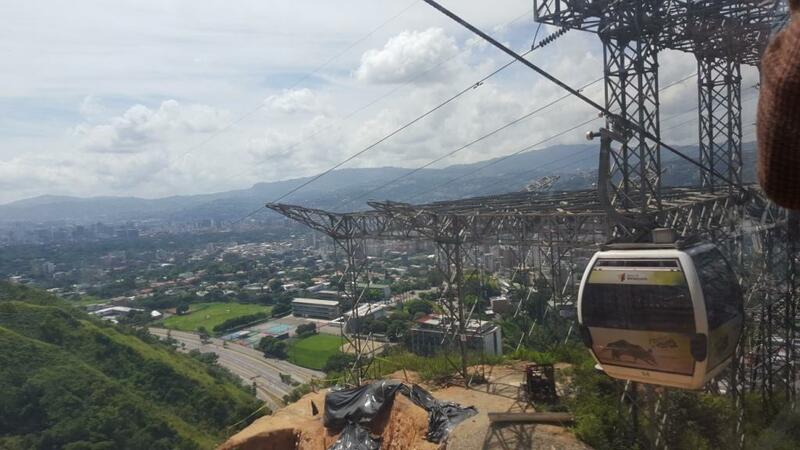 People’s Democratic Republic of Algeria is a perfect tourist destination that is garnering: cultural and historical patrimony, beautiful scenic landscapes like Sahara, Tindouf, Oran, Constantine, and a perfect Mediterranean Sea Riviera, confidently declared President Anton Caragea. I wish full success to People’s Democratic Republic of Algeria candidature for World Best Tourist Destination Award and World Capital of Culture and Tourism and I hope that the country will be able to capitalize on the fact that his candidature for the highest tourism awards was submitted for our consideration, concluded ECTT President.